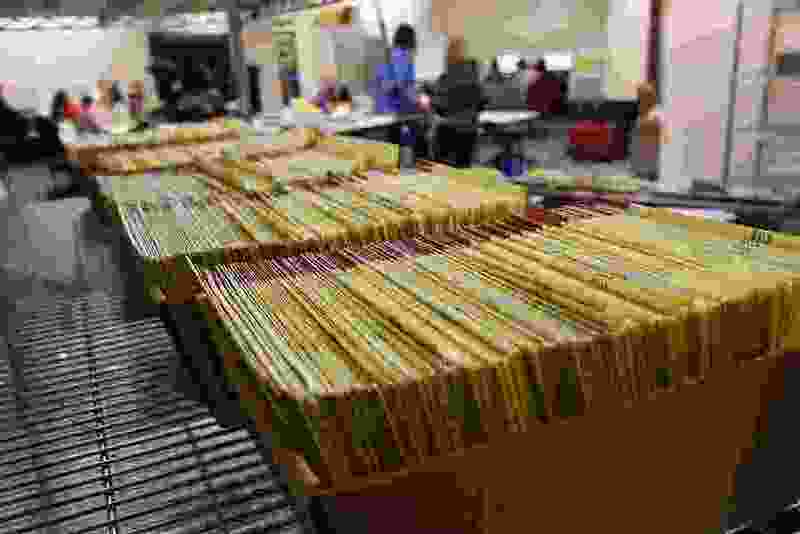 (Francisco Kjolseth | Tribune file photo) Ballots returned in last year's by-mail election are boxed and sorted, with hundreds of thousands turned in long before Election Day. Two Utah cities will forgo a primary this year and hold their general elections in November under a voting method that’s never before been tried in Utah. But Utah County Clerk-Auditor Amelia Powers, who was elected to the post last year, says she’s confident the county can effectively implement ranked-choice voting under her new leadership. The vendor that’s running the elections has worked with this voting type in other states, she said. And the county has recently hired three additional elections professionals and a new elections director, upping the experience in the office from a collective 12 years to about 60. Under the ranked-choice election system, voters will see a full slate of candidates in the general election and rank their favorites, rather than choosing from the survivors of a primary contest. The candidate with the fewest first-place votes in a crowded field is eliminated and those voters’ second pick gets his or her votes. The person with the fewest votes is then dropped again and those votes are allocated to the remaining candidates. That process repeats until there’s a candidate with a majority of support. Advocates of the method say it could decrease voter apathy because people would feel their vote matters more. And because the system would eliminate a primary, it could also save money and change the dynamics of the election, with candidates focusing more on issues than on their opponents. Still, the new system comes with plenty of challenges, such as voter education and implementation ahead of the 2019 election. Those concerns led Salem, Cottonwood Heights, West Jordan and Lehi — all of which had originally expressed interest in the system to the Lieutenant Governor’s Office — to back out of the pilot project before Monday’s deadline. Payson, which has two council seats up for grabs in this election, and Vineyard, which has two, were among the smallest of the originally interested cities and say they’re looking forward to leading the way for other municipalities in the state. “I personally am excited," said Vineyard City Recorder Pamela Spencer. “I don’t feel like we’re guinea pigs because it’s been done in other cities in other states. It’s been done in other countries, so I feel like we’ve never done it in Utah, yes, but we’ve got other models to look at that have done it." As they move forward, both cities and the county said they plan to conduct extensive voter education before the election on their social media accounts, websites and in newsletters. They also plan to possibly hold a mock election (in which “voters” would rank their favorite holidays) to create familiarity with the system and to work out any potential bugs. The future of ranked-choice voting in Utah could hang in the balance, as it’s likely more municipalities would adopt ranked-choice voting in subsequent elections if all goes well in Payson and Vineyard. If it doesn’t go well, all bets are off.